Players and employees for the NFL team become UNIFY’s newest SEG. 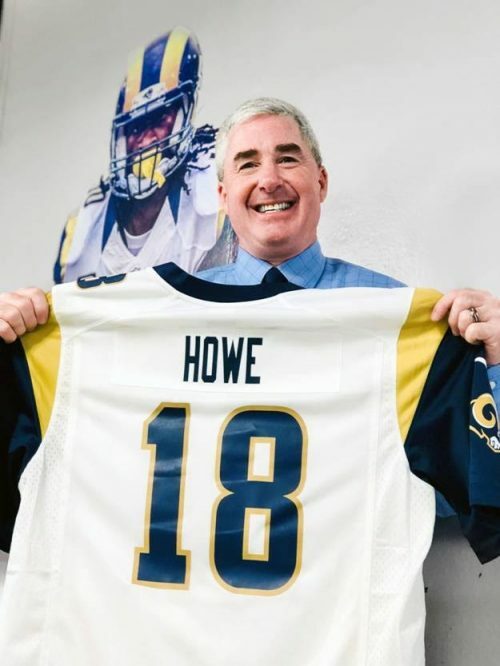 Gordon Howe, CEO of UNIFY, displays Los Angeles Rams football jersey. The $2.8 billion UNIFY Financial Credit Union in Torrance, Calif., said Tuesday that it is the official credit union of the Los Angeles Rams after signing an exclusive multi-year partnership with the NFL team.